A quick break from normally scheduled programming (AKA the three series’ that I’m currently working on) to review, that’s right, Morning Musume’s latest PV, Onna to Otoko no Lullaby Game. Now, most of this review is going to focus on the PV itself and not the song. The song itself… I actually like it a lot. It’s much better than the previous few singles, and I think that since the only singles to be released in 2010 were Onna ga Medatte Naze Ikanai and Seishun Collection, Onna to Otoko no Lullaby Game automatically wins best song by default. Yay? I like the fact that 8th gen actually gets solos. I know it wasn’t what everyone wanted (that is, a song dominated by Eri, JunJun and LinLin) but hey, let’s be honest. The ONLY H!P girl to get the special treatment for their graduation single song was Yossy in Kanashimi Twilight. I mean, that’s not counting B-Sides (since Fukuda Asuka and Yasuda Kei each got a version of Never Forget for a B-side of their single). So I’m not going to get into that. This song isn’t the best thing ever, but it’s certainly not a drag, and feels a bit refreshing. 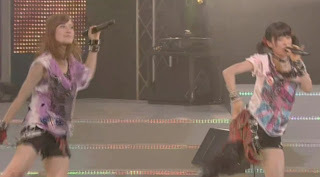 I haven’t gotten bored of it yet, which is nice (and what happened with Seishun and Onna ga Medatte). How do I even start to deal with how torn I am with this single? I’m VERY torn. On the one hand, you have THESE outfits. Which are VERY unflattering at pretty much every angle and look cheaply made at many angles. It feels like they went over budget with the other costumes and just scrounged these together from the leftover things they had lying around. Have the costumes been THIS cheap since something like Summer Night Town? I don’t know. So yeah, those costumes, while not bright, florescent green, are pretty bad. However, you THEN have something like this. DO WANT DO WANT DO WANT. I WANT PUFFY AND GIANT BOW’D. And I immediately get MORE faith in the costumers. Seriously. This is a GIANT gap in the PV; costumes I adore (probably my favorite H!P costumes of recent years) and what’s essentially a giant mess. Did two different people make these? If so, hire the ones who made the recent ones and immediately fire the ones who made the dance shot costumes. They probably made the Seishun Collection messes too. Oh, and one other thing; these costumes are GORGEOUS and I love them. So. Why are the other costumes in the PV at least 2-3 times more than the pretty ones? UFA, sometimes I just do NOT get you at all. Blerrrrrrrrrg. I’m sorry, but. Where have the good choreographers gone? To Momoiro Clover? To AKB48? That’s where they’ve gone. There are too many WEIRD parts in this dance. UFA, do you realize how many gifs have been made of MM rubbing their breasts? The one part that I very much approve of is the hair flip, especially when it relates to Takahashi. Seriously. Takahashi, keep flipping that ponytail. It makes me interested in you. The dance is just… it’s just so strange. I’m not a dance person, but I just keep feeling like it has the potential to be better, with a lot of the parts like the spin/hair flips. And then they bring out the weird breast rubbing moves and ones that look like I choreographed them. Why. I don’t claim to be an expert in art direction in any way, shape or form. However, again, this is a mixed bag. I think that a lot of the scenes are pretty boring, such as the dance shot backgrounds (kudos, H!P; there’s multiple backgrounds again!) and, to an extent, the close up background. But then again, I find the backgrounds when they’re wearing their pretty dresses to be GORGEOUS. Seriously. Beauuutiful. 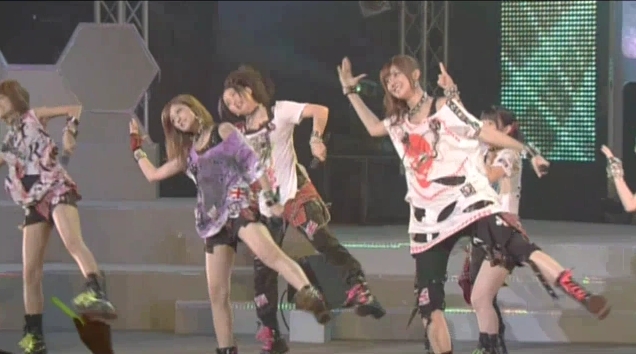 Probably my favorite H!P backgrounds for the last… while. But then they’re used sparingly. Why??? Oh my goodness. I could edit this mess better. I honestly don’t understand who they got to edit this, and why it feels that lazy. The thing is, the PV itself is made up of decent elements. The settings are mostly decent, and then we have the gorgeous shots that I loved. However, the whole thing feels very sloppily edited. First we have the white background dance shot, a couple of pretty backgrounds, and then to the black background dance shot, pretty close-ups for about 15 seconds, going through all the members. Back to the black background dance shot. It’s so easy to summarize, especially when it comes to the close-ups with the leather backgrounds and the ugly dresses. Those shots just keep going on. and on. And it just does NOT feel very creatively edited. The impression I get is that they take a few interesting shots that could work very well, but then slapped it together in a day and called it a PV. Maybe I’m being over-critical. 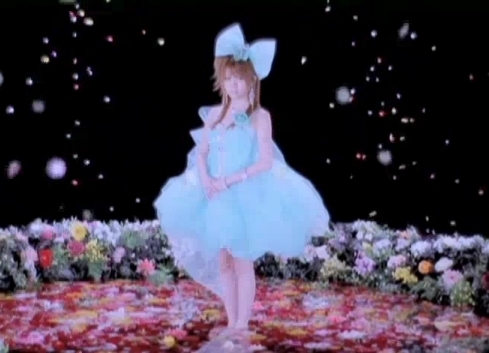 This IS one of my favorite MM PVs since… goodness, I can’t remember the last time I thought a MM PV was actually GOOD. Don’t get me wrong, I love MM. They’re the reason I’m being so critical; I just want the best for these girls and I don’t think they’re given enough good songs or PVs, and I’ve just been very frustrated with H!P/UFA as a whole lately. I do think that Onna to Otoko no Lullaby Game IS a step in the right direction, in terms of song and PV. It looks like some aspects of the PV got some effort, which is pretty good in H!P right now (see: Berryz Koubou’s Shining Power). However, I just don’t see how anyone could think that MM could catch up to other idol groups going right now. Not just AKB48, either. SKE48, AKB48’s sister group, put out a PV recently to their 4th single “1! 2! 3! 4! 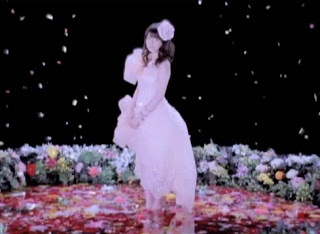 Yoroshiku!” that I can only describe as being one of my favorite idol PVs in recent years. 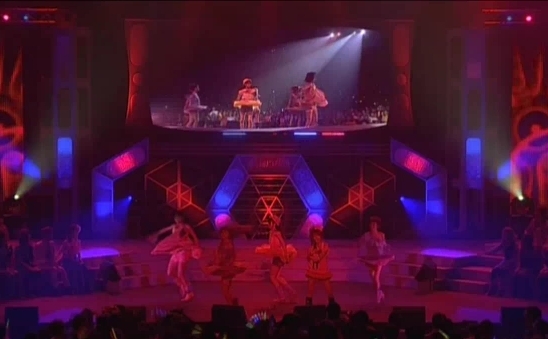 It’s energetic, entertaining and just a joy to watch, which is honestly more than I can say about recent H!P PVs. Same with Momoiro Clover; unless MM/H!P ups its game, I could see MomoClo outselling Morning Musume in about.. a year or so, given more exposure. That being said, Onna to Otoko no Lullaby Game IS a step in the right direction, and I can only hope that Morning Musume keeps moving in that direction. And fires whoever edited this PV.